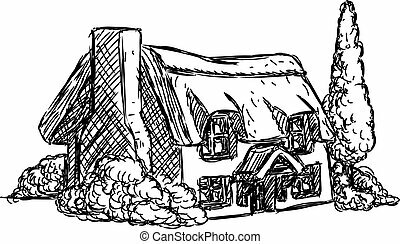 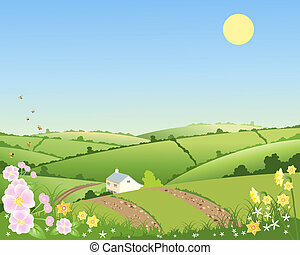 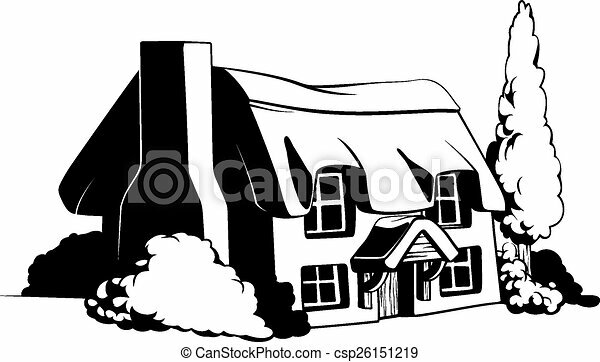 Country cottage illustration of a cute country or farem cottage house. 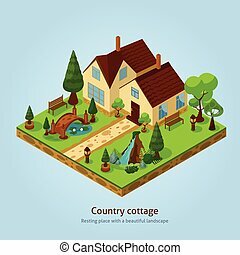 Country cottage. 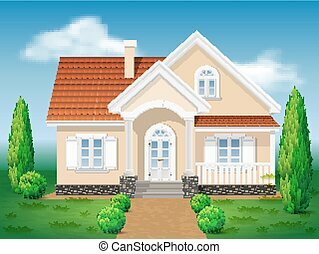 Front of the house and garden. 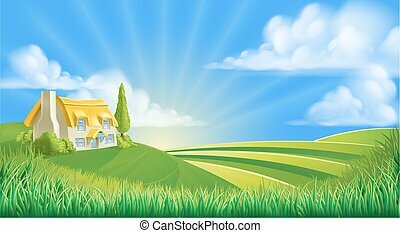 Grassy lawn and of thuja. 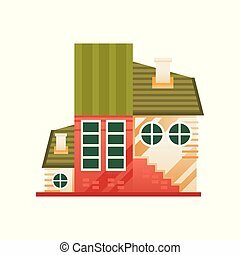 Vector detailed illustration. 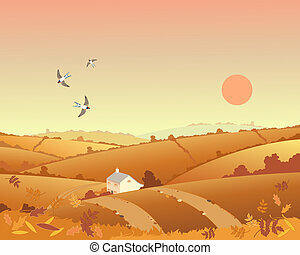 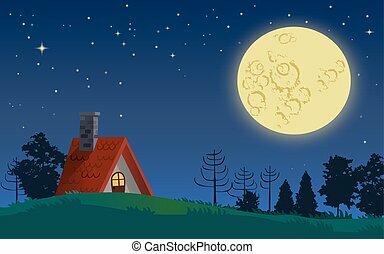 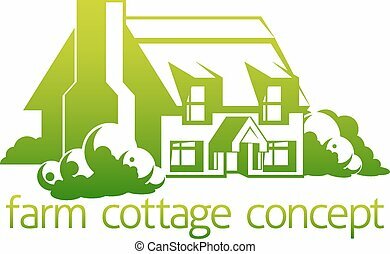 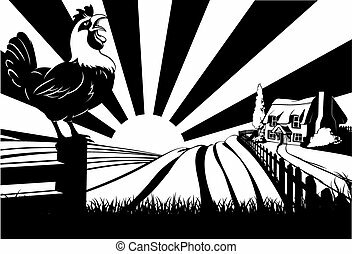 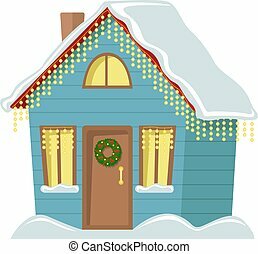 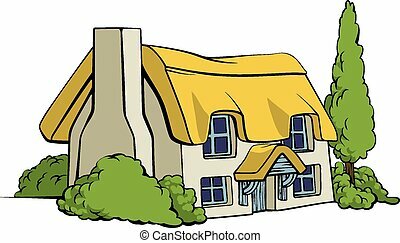 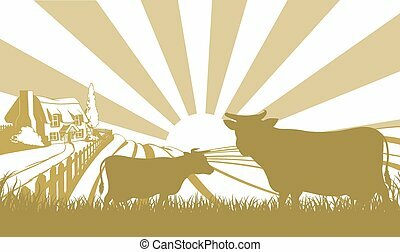 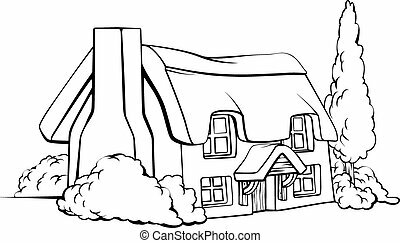 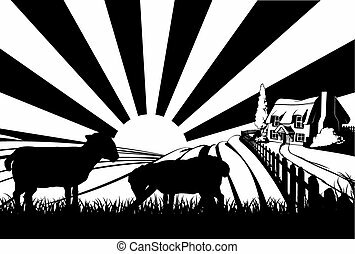 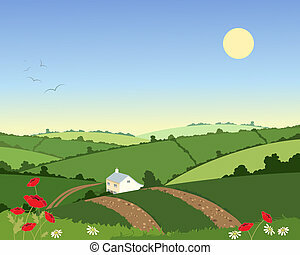 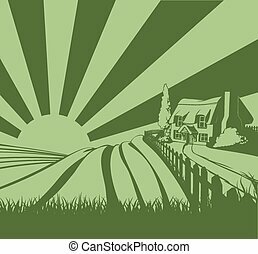 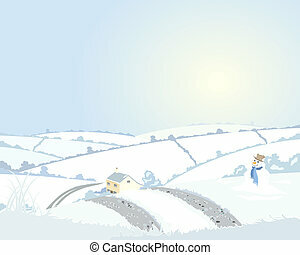 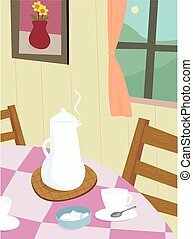 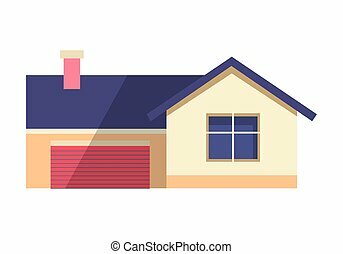 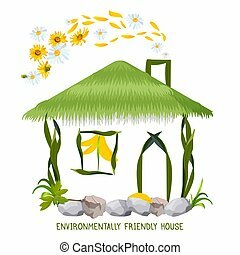 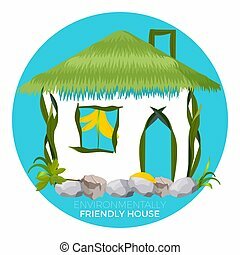 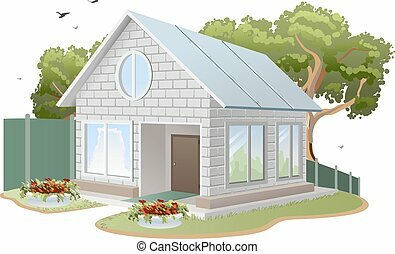 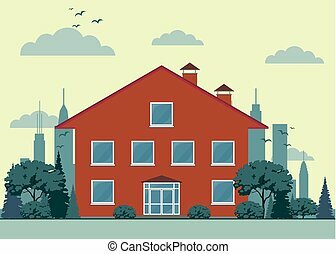 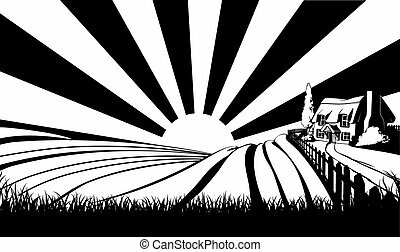 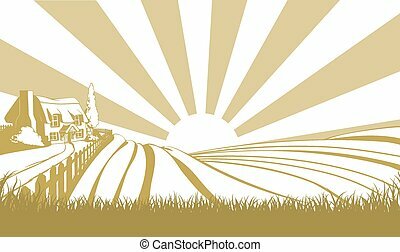 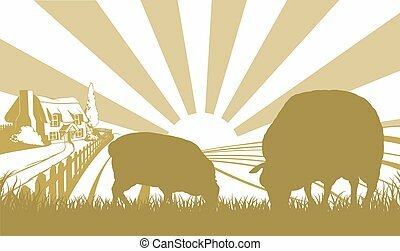 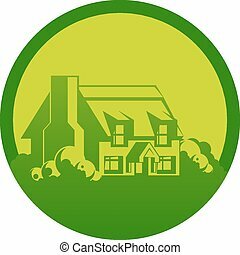 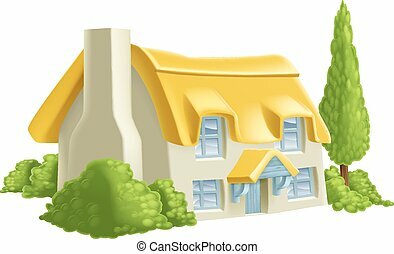 Traditional country cottage, front view vector Illustration isolated on a white background.